Today I sold the two beauties that you can see above. I was a little bit invested in Bitcoin, but I exchanged almost all of it to the Ethereum currency quite some time ago, and I also mined them, and both was a good decision as the value increased so well. I still have some Ethers (currency of the Ethereum network) and I planned to mine more of them. It’s basically called mining because if you have enough horse power (GPU’s) under the hood, you can mine these currencies like a real miner would maybe mine gemstones or something else of worth. There is basically an algorithm, people can use their GPU’s to mine these digital coins, and yes they can get worth a lot, especially Bitcoin and Ethereum did so. It gets more and more difficult over time, which means if you want to mine these currencies, you will end up buying more and more GPU’s, to fight against the increasing difficulty in the algorithm. So, my plan was to have a little bit of fun with Ethereum mining again but then I realized, unless I do this with a whole farm of GPU’s, it’s not worth the headache. 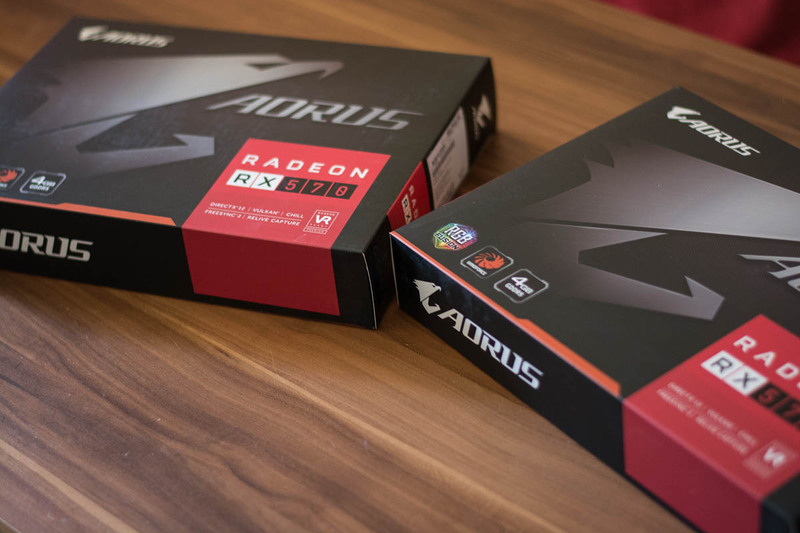 I decided to sell both AMD RX 570 Aorus GPU’s for €400 today. I could have asked more, because there is such a high demand, for the exact same reason. People want these cards and so-called cryptocurrency miners want them, especially professionals who set up whole racks with tons of GPU’s running. They are so asked that manufacturers can’t keep up with the demand as it seems. The market value of both cards was €400, but since the demand is so high, people sell them for a much higher price right now, and since online shops can’t deliver them either anymore, they become even more worth. I did want to get rid of both and that fast because for now I don’t want to mine cryptos again anymore. My price was fair since so many ask for much more. They were newly purchased and I didn’t make a loss. They were brand-new basically, and they never have been used. Talking about Bitcoin, the difficulty caused by the algorithm is already so hight that you would not even be able to profit with these cards unless you have a whole server farm or hundreds of these cards (laugh). Ethereum is another story, the difficulty is still easy, I could make a couple of Ethers with both cards but it would take time and it’s not worth the headache. I think at the current difficulty they could mine at 25 Mh/s per card. Anyway, energy is too expensive here in Germany, and it would only be worth it if I would be one of those who run like 50 or 100 GPU’s at once, everything else would just be a fun project, experiencing or playing around with the technology and that’s what I did already back then. With more and more GPU’s, cost of energy would be a problem too unless you have solar panels on the roof, if you know what I mean. But with just two cards, your accountant would probably cost more than you make. You can argue that it would be worth to mine other cryptocurrencies with lower difficulty with it, at least if you speculate on a price increase there too, and that happens, but I could at the same time just buy them if they are still cheap. I tried mining, got my experience, but that’s enough. Because when I had an AMD 270X, I used it to mine some of the Ethers (of the Ethereum network), that was a small fun project because I am not a professional, rather a hobbyist who wanted to experience and understand the technology, but it would make me a bit of money if I would want to sell my current Ethers. Today you wouldn’t make a lot of coins with this card anymore, because also here the difficulty increased so that GPU’s of that time basically “aged”. Again, I could have made some Ethers again with the two newer cards, but my point is that unless you do this on a large-scale, it’s in my opinion not worth it. However, I can assure you, people who do this on a large-scale, like with 30, 50 or maybe even 100 GPU’s, they profit like crazy at the moment. In that case, cost of energy would be a tiny fraction of what they earn and worth every headache. Not to mention the big sharks that set up whole halls full of miners, like 1000 or even more GPU’s, crazy. I do already know how to mine Ethers, and I know quite a lot about this currency, that means I don’t want to experience it again, especially not with the local cost of energy, and I also don’t own a house with solar panels on the roof to make it cheaper. But more important, let’s say I would purchase even more GPU’s like many of the professionals do, there is no way around paper work, because at the end you will want to convert to real cash, and that’s where you get paper work, you basically starting to become a business. I still have several Ethereum coins and they already have their worth, but I don’t sell them because I guess the price per digital coin will increase further and maybe then I go through some of the headache once, and if not, then it was just digital magic produced by my AMD 270X back then, no real loss. By the way, the guy who bought my two AMD RX 570 Aorus today, he told me he has over 26 GPU’s running and makes decent money. It was fun to talk with someone who is doing all this on a large-scale. He even offered to teach me to set up mining racks that contain more than one or two cards if I ever get interested in mining again. It was fun to talk with this guy, especially because this is not a mainstream subjects and you don’t meet someone everyday who understand cryptocurrencies or who is fascinated by this nerdy technology. Another idea was that I could use the GPU’s for gaming because my mainboard supports two cards. However, I asked myself why I should do that, my current Nvidia card is already fast enough and every single game I play runs smooth on maximum graphic settings. Sometimes you change your plan, the reality is that my PC is still in a good condition. I might upgrade the CPU and the RAM at some point but that point is not now. My PC is the last thing that needs an upgrade, for now.